MediaWiki image is secure, up-to-date, and pre-configured to work out of the box. 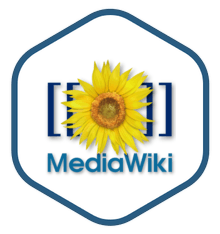 MediaWiki is the free and open source wiki software that powers Wikipedia. Used by thousands of organizations, it is extremely powerful, scalable software and a feature-rich wiki implementation. MediaWiki is the engine behind Wikipedia, the behemoth website with millions of articles written by millions of users and translated into dozens of languages. Scale, internationalization, and flexibility have turned MediaWiki into one of the most popular open source wiki applications of all time. MediaWiki is also frequently the first choice for organizations who wish to bring the power of transparency and collaboration into their businesses to publish technical documentation, create knowledge bases, and build intranets. Written in PHP and utilizing a MySQL database, MediaWiki has over 900 settings and can be customized with over 2,200 extensions. With its lightweight, extensible markup, users can quickly learn to write rich, organized content with internal references, external links, and embedded multimedia. Highly Scalable: MediaWiki powers Wikipedia, one of the world's most popular websites. MediaWiki has been designed to support websites with terabytes of data and millions of hits per day. Highly Customizable: More than 900 configuration settings and more than 2,200 extensions are available, making it easy to customize MediaWiki to suit your needs. Easy to Use: Uses an extensible lightweight wiki markup designed to be easier to use and learn than HTML. Easily embed media and reference other articles both internally and on the web.